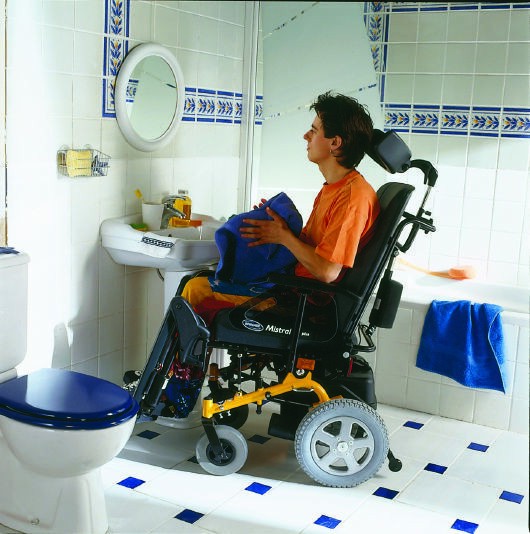 Choosing the right mobility aids for the bathroom is important in order to give you the most control possible. The bathroom is a place where we usually desire privacy. But many people with a SCI need help from a caregiver to bathe or use the bathroom. Even so, here are some things you can do to make sure you don’t have to receive any more help than necessary. Sometimes it’s not your abilities that are a hinderance; it is the accessibility of your bathroom. 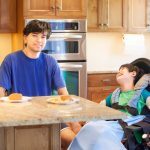 For someone with a spinal cord injury, having the right mobility aids can give them independence and preserve their privacy. Here are a few of the most common bathroom aids, and a description of how and why they might be used. 5 What Do I Need? Grab bars and rails are easy to install in any bathroom. There are a variety of different types. Some are permanent and screw into the wall. Other are suction-based. The suction-based rails are just as sturdy but don’t require you to alter the structure of your home. Rails are usually installed near showers and toilets. They can be used to help you independently transfer from your wheelchair or just to provide a little extra support. Toilet seat raisers help people who have trouble lowering themselves all the way down to a regular toilet seat. The seat raiser raises the height of the seat, making it easier to transfer onto from your wheelchair. The seats can also be padded, which may improve comfort and reduce the chance of damage to your skin. Bidets allow you to clean yourself independently by providing a warm water spray right on the toilet. People who have difficulty using their hands or have problems with balance will especially appreciate the convenience of a bidet. There are a lot of options for improving your mobility in the shower. Roll-in showers are easier to access than bathtubs. If you can install a roll-in shower, that is your best option for creating independence in bathing. Inside the shower you can use equipment such as shower seats and chairs, adjustable shelving, and adjustable shower heads to give you stability and access to everything you need. Shower seats come in a variety of styles. Some fold down from the side of the shower; others are free-standing seats or benches. Others are attached as a solid bench across the wall. Adjustable shelving and adjustable shower heads put everything needed for bathing within reach. Adjustable shower heads can also be taken off the wall and used to wash hard-to-reach areas. Some people are not able to get in and out of the tub without assistance, but they also don’t have access to a roll-in shower. Others may just need to soak in a tub for therapeutic reasons. For these people, bathlifters are the best solution. Bathlifters can be installed over almost any standard bathtub. They don’t require construction or complicated installation. If you have a caregiver, bathlifters can help prevent injury for them as well, by reducing the amount of manual lifting they need to do. 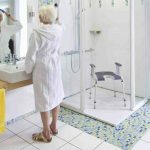 These basic mobility aids are just a few of the items you can add to your bathroom to improve independence. Each aid comes in a variety of styles and models. There are also other small adjustments you can make to your space to optimize ease of use. 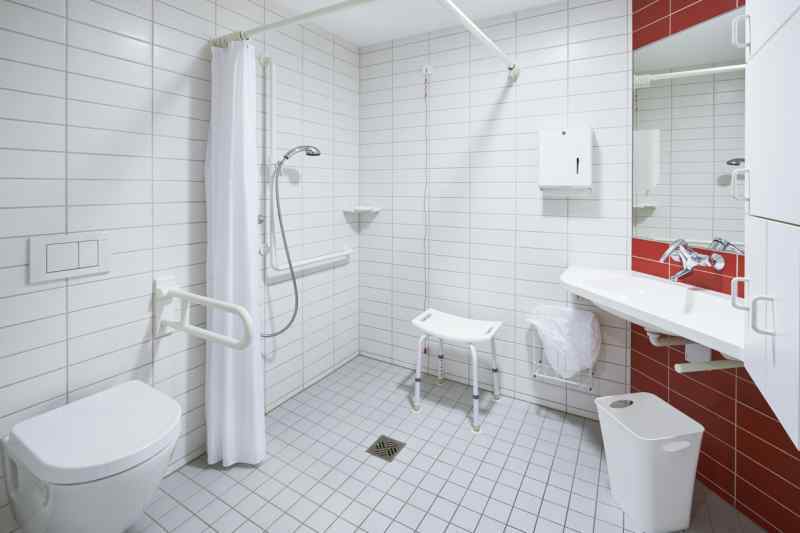 Ask your doctor or therapist which mobility aids might be right for you, depending on your physical abilities and the design of your bathroom.